When I started The Aquaman Shrine, on a random, quiet night in October 2006--11 years ago today--I thought of it as a fun way to display my then-tiny collection of Aqua-merch, a public demonstration of my adoration for DC Comics' King of the Seven Seas. I had enough stuff thatI thought I could run it for a year, at best. Little did I know, of course, that in short order the Shrine would become the main creative outlet of my life, a daily, swirling conversation between me and the hundreds, thousands, of Aquaman fans who were out there. It didn't take long before the blog morphed from an online gallery of merch to an all-encompassing, rolling history of the character, in all forms and all media, and a meeting place for the aforementioned like-minded fans. F.O.A.M. membership certificates were issued, interviews were conducted, news was (occasionally) broken. The Shrine, being a big fish in a small pond, opened a number of doors for me, and thanks to it I ended up befriending some of the people who had professional associations with the character, whether as a writer, artist, or, sometimes, as Aquaman himself! The whole idea that the Sea King was an unloved joke as a character served as a rallying cry for me and all of the other Aqua-Fans, and we kept flying that orange and green flag while the character was in limbo in official DC continuity. Then, in 2011, something remarkable happened. 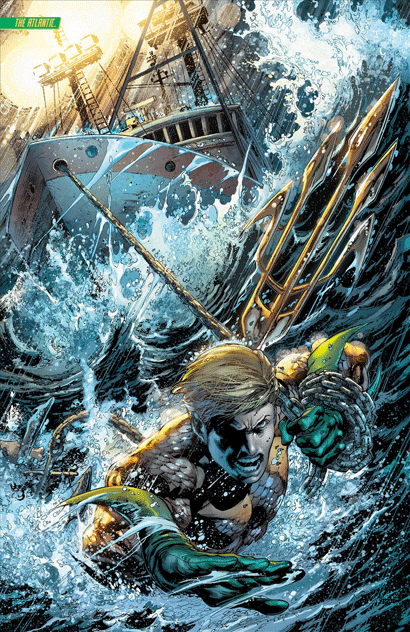 Fan favorite Geoff Johns took the reigns of a new Aquaman book, part of DC's New 52 initiative. Backed with stellar artwork by Ivan Reis, Joe Prado, and Rod Reis, this new Aquaman was undeniably cool, and all of a sudden the Sea King became one of the pillars of the revamped DCU. Aquaman became one of the company's best-selling titles, leading, briefly, to him headlining two monthly titles! Unheard of! And while I continued along, trying to keep pace with the idea that Aquaman was suddenly everywhere (comics, cartoons, toys, TV, merchandise), my enthusiasm started to wane. I helped co-found The Fire and Water Podcast, and a few years later The Fire and Water Podcast Network, initially devoted to just talking about Aquaman but soon expanding outwards, in all directions. I got tired of writing about Aquaman, especially when it became clear that the Shrine was no longer the only game in town: lots of people liked Aquaman now, so my little effort didn't stand out the way it used to. Mulling what to do as the Shrine approached its tenth anniversary, I put the blog on indefinite hiatus when world events made the whole thing seem like a waste of time. I had considered coming back, eventually, but now that Aquaman is a bona-fide movie star, it dawned on me that the best, most appropriate thing to do was to give this old thing one last proper send off. So that's what I'm doing here. The Shrine's Twitter feed, expertly managed by my longtime co-conspirator Joe Slab, continues to be a hub for Aqua-fandom. I handed it over to Joe many years ago and he transformed it into what it is today. So while it feels weird to put a period on the end of this particular sentence, the time has come. The Aquaman Shrine has given me the chance to do a great many fun things and meet some amazing people, some of whom I call my friends. It's enriched my life in ways I never could have imagined when I absent-mindedly started taking pictures of my collection, but I guess that's one of the great things about life. Thanks to all the thousands of people who ever stopped by here, drawn by their love of the King of the Seven Seas. It's been an amazing experience and I thank all of you who liked what I was doing enough to comment, contribute, or simply swim along. Goodbye, Aquaman Shrine, and thanks for everything. Thank you, Rob. The Aquaman Shrine and what it spawned via the Fire and Water Network has enriched my life. Thanks for all your dedication, passion and the entertainment it spawned. Thanks for being the internet equivalent of the Cheers bar, where it was always fun to stop by for a visit and everybody knew your name. Thank you for all the work, Rob. I, as well, am saddened by this news but understand the need to push on and change as our lives progress. You've done a wonderful job with the Shrine and, in the process, made a lot of people happy and created a sense of community for those who felt their hero was undervalued and unappreciated. These are not trivial achievements and are something to take some satisfaction in. Last week, I turned sixty years old last week and have been reflecting on life a little more than usual. Bringing people together and making them feel understood is a pretty noble thing. Rob Kelly, and the humble Shrine, did that. I expect great things for you in the future and hope to hear your name in connection with admirable accomplishments. And believe me, I know from experience that even small fish in vast oceans are very important. Godspeed. Thanks for all your hard work over the years, man. I've been a reader since 2010 ... this blog has always been the first, best place to visit to keep up-to-date with all things Aquaman. Enjoy your retirement! I can't remember how or when I stumbled on the Aquaman Shrine...it seems like it's been a part of my life for quite a long time though. Among my friends, I'm the Aquaman guy...I have the toys, the t-shirts, the books. But when I found this place, I found someone who seemingly eclipsed my own love of the character. Not only did he have a blog dedicated to one of my all time most beloved characters, but he also had a podcast about my finny favorite too! I became a FOAM'er, pictures of my personal Aquaman Shrine were displayed for all to see, and I met and became friends with so many fans who were all brought together by this site! I traded a few emails with Rob, met him in person at cons and chatted. By my count it's 3 times, but he may, and has, say differently...lol I even appeared with him on a few episodes of Film & Water. Inspired, I wanted to start a blog of my own, and since Aquaman was already taken, and done so well, I settled on my second favorite character. Eventually I teamed up with a new friend and started a podcast too...none of which would have happened without the Aquaman Shrine...and Rob Kelly! Thank you for everything. I will truly miss the Shrine. What bittersweet feelings this news sends through me! There aren't words enough to offer you the thanks and admiration I feel for making the experience of the Shrine possible. It has truly been transformative--not only for the way people see the King of the Seven Seas, but also for me personally. I've had the privilege to become acquainted with some passionate, intelligent, dynamically hard-working people and I can't help but feel like a richer person for it. This was a labor of love and it shows. Thanks for the site and the incredible info you shared here. This site was a high water mark for other character blogs, a yardstick for my own measures. And your story of reacting to Aquaman’s growth in popularity and whether or not you needed to continue doing this is something I find myself doing with Supergirl as well. Thanks again. This place was a standard setting site. It’ll be missed. This place (is it really a place, it feels like one) is where I met my friend Rob, who then introduced me to other friends, and inspired me to embark on one of the most exciting creative endeavors I have ever taken on in my life. It sounds like hyperbole to say it changed my life, but it really did. And all for the love of Aquaman. Thank you Rob, for the Shrine and all the creative energies and friendships that have sprung from it. Chris, first official member of F.O.A.M., and damn proud of it! Farewell and adieu to you fair Spanish ladies. Farewell and adieu to you ladies of Spain. Goodbye, Shrine. Thanks for the ride. Thank you, Rob, for your passion and for your knowledge, and for the Shrine - this is one of the coolest stops on the interwebs, I will miss it. I found this site truly by accident and fell in love with it immediately. After a day of reading most everything here, I became a member. Everybody always had some cool things to say and post here and the knowledge you and all the fans on this site was refreshing. I hope that someday, someone else can pick up where you left and bring this site to back to life or start a brand new one in the future. Thank you ,Rob. This place was a haven. Not much is known about Aquaman here in Peru, so when I found the Shrine (completely by accident, looking for some Aquanews) I started visiting on a daily basis... Till I got my F.O.A.M.er certificate! I remember it perfectly: sharing my creation of the South Park Aquafamily! This place was among the three first places I visited every day, just to read your posts with some news, interviews, comic recaps and other members' comments as well. I learnt a lot more about Arthur, his family and friends, his enemies and his world. Then we even exchanged some e-mails and I consider you a friend (hope you do too). And even when you announced the indefinite hiatus last year, I kept coming in every day looking for the return (although something inside me the comeback would be for exactly the same reason it's happening right now). So these are bitterweet although understandable news. It's been a long ride over a green wave with orange foam (beware of tridents! lol), and you should feel proud and happy of all what you have accomplished since the beginning. Not only bringing a lot of people together and making them feel a little less lonely in their (our) love for Arthur and our rage at others mocking him, but you even played a big part (I'm 100% sure of this) on the industry itself acknowledging him and giving him credit and a chance. Salty everyone? They followed you as well! It is sad and kind of ironic the moment for this to happen, just when the first live-action Aquamovie is about to come out. I was really looking to come in the day of the release and the following ones to read your insights and everybody else's (here hoping you decide to do so). Farewell and thank you, my friend. And farewell and thank you, Aquaman Shrine. Love and best wishes alway. Forgot to say this: I won't lie, I'll keep coming over every day in case there's a change of mind and heart (hope is the last to thing to be lost lol). Now I can say it again: Till we meet again, farewell adn thanks for everything! Thanks for the memories and all the great posts. Even though I never got my F.O.A.M. certificate, I have been on and around this site for years. This is how I collected most all of my Aquaman merch and kept up to date on the newest Aquaman things. From the day we got word of Aquaman getting his own animated title and our mild hostility for his removal from the JLA animated movie. To it's release and our excitement. I'll never forget this place. Fairly winds and following seas. Ugh. That made me tear up a bit. The Aquaman Shrine has been important to me for 2 reasons. First, it validated my lifelong love of Aquaman in ways I'd never imagined — we are a difficult tribe to connect at times! And second, this blog was one of the first I read regularly, and was a key player in inspiring me to start my own blog, which has now become such a huge part of my life, my family, and my livelihood. Thank you, Rob, for providing this oasis to help all of us through the desert years in Aquaman's publishing history. May there ever be a wind to fill your sails. I am sad to see the end of the Shrine's frequent postings, but I am joyful that Aquaman has finally reached people from everywhere. It is somewhat of a shame that one of the biggest influences (and spreaders) to Aquaman's recent fame, this very shrine, will be ending. I remember fondly the interviews, the panels, naming Salty, the polls, collections and helping me and other fans find previously unknown content featuring our favorite sea king. I will miss hearing from you Rob. Good luck with Ace Kilroy, Fire and Water and whatever else you might venture into. You will be missed by all of us FOAMers. Hi Rob. I'm sad to read this. I found your Aquaman site by accident and always kept it in my favs since then. This was my one true website on Aquaman. I can understand your feeling and your decision. 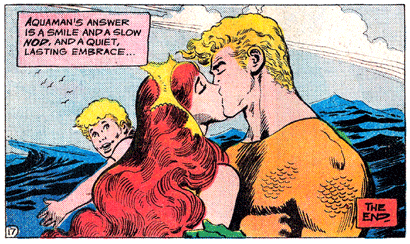 Aquaman owes you a bit, I'd say. From France, thanks for your energy, your dedication and all your time. Thanks for all the years of Aquaman fun and JLU club! Real shame this place had to close down right before Aquaman went mainstream with the JL movie. Thanks for all the great years. Rob, thank you so much for everything. 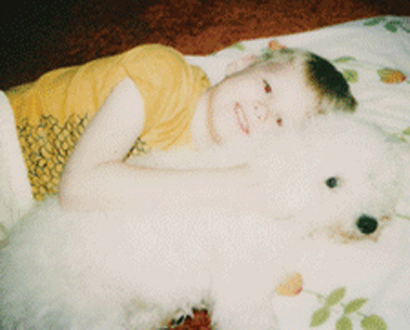 This blog means a lot to me. It's been a place for me to come home to -- like laying on shag carpet looking up at a shimmering aquarium daydreaming about how Aquaman communicates with the fish. I have had mixed emotions as well about the rise in popularity of Aquaman and a general feeling of my interest waning -- feeling like I need a break. Aquaman will always be near and dear to my heart, he truly has got me out of a lot of tight places and dark times. Thank you for sharing him with so many. Mr. Curry would be proud. This is sad. I had hoped you would return after some time off for the JL & Aquaman films but it doesn't seem to be the case. It even looks like the Aqua-family might be returning in a season 3 of Young Justice. This site is still such a treasure chest of goodies so I hope you at least keep it up for years to come. Arthur's new film fans are just around the corner & some are just now learning to walk. I was proud to make contributions in the areas of the "SeaWorld water ski show" articles & co-win the "Atlantis comic book debut" contest with another fan. I was with you from your start & it's so sad to see the site fall into an aqua-coma. Hopefully someday it will get doused with some water so it won't die completely. For everyone who contributed here in any capacity, enjoy your time off & take care!